After a long 7 hours drive all the way from Ad Dammam (740 Kms app) it was a great relief to reach our destination.The land actually surprised me,as we came closer and closer the deserts started to disappear and then come the short bushes arising from the soil beneath.When your cruising at a speed of 110 Km/hr it could be wonderful to see this transformation.Slowly it started to get higher and higher and the wind became cooler and cooler…… then what i saw was hays and vast farms spreading over acres of land,turning my concept of the kingdom upside down.I never knew the kingdom could have this much of greenery !! As you move along the deserts you could see piles of sands one above the other spread to the infinity. The movement of the sands is very pleasant to see, nobody could ever make them as the landmarks because they keep moving from one place to other or even disappear. The wind would be very strong on the highways , you could here the whooshing sound of the wind from inside the cabin of the car with is entirely closed and air-conditioned.You could even hear the pieces of sand hitting on the car’s body making a rattling sound.Due to this it is very advisable to wax your car for desert drives.The mirages actually gives us a feeling of driving into a water source which would disappear without leaving a sign of it as you approach them.It is really cool to take the snaps of the deserts as well as the small oasis. 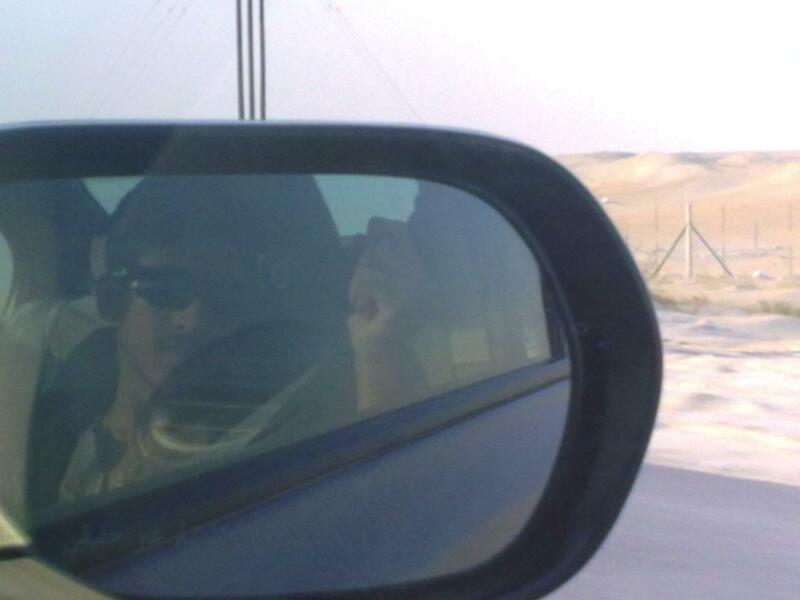 We are pacing at 140 Km/hr which is actually above the speed limit.The speed limit across the kingdom is 120 Km/hr but still you can find when the car moving towards one side….driver as to be very cautioned………..